Two attorneys are chatting against the beautiful tropical backdrop of the Cayman Islands. The elder lawyer suggests to the young rising star that he “grab a Red Stripe,” which leads to the selection of the Jamaican-brewed beer from an ice-cold fridge. So simple … but it’s a powerful association between the “good life” and a particular brand of beer. Did it work? 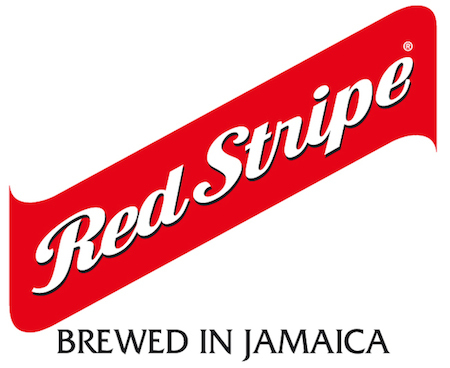 Within a month, sales of Red Stripe in the United States increased by over 50%. Within a few weeks of that, the company collected a $62 million payday by selling a majority interest in the brewery to Guinness. That would be a pretty effective commercial, if it was one. After all, who can afford Tom Cruise and Gene Hackman for a beer commercial? The scene I described is from the film The Firm, an adaptation of the John Grisham novel of the same name. This was not a commercial, but an example of product placement, and a highly effective one at that. Clearly, American consumers have been hoodwinked into buying expensive Jamaican beer against their will! Except the science indicates that’s absolutely not true. Early studies on product integration in entertainment media from the 1990s found that the majority of people are not deceived by the practice, and do not find it objectionable. In fact, compared to being interrupted by a “commercial,” people preferred product integration in content. Recent studies confirm the earlier findings, but go a step further in favor of the practice. Consumers see product integration as providing more authentic narratives, compared to the former practice of generic props for soda, beer, sneakers, and what have you. Product integration is just one example of a subset in the bigger picture here. Taking a media approach — compared to traditional marketing and advertising — is more influential and effective, not because it tricks anyone, but because it gives people what they want in a format that they prefer. Listen to New Rainmaker Episode No. 6 here. To get the full transcript of this episode (and all the past and future episodes), plus access to three upcoming webinars covering the New Rainmaker content creation, traffic, and conversion strategies, sign up (no charge) right here. Brian Clark is the founder of Copyblogger, host of Unemployable, and editor of Further. Interesting read. Where do you see more traditional forms of advertising heading towards, in the future? I’m no expert Katherine but I believe it will always exist, I just see it transforming in a way in which it supports the online marketing strategy as opposed to the online strategy supporting the other mediums. What do you think of the recent product placement success with Samsumg at the Oscars? Ellen made it look seamless, but it makes me wonder if the big celebrity selfie was planned as a marketing gimmick. but it makes me wonder if the big celebrity selfie was planned as a marketing gimmick. Of course, sometimes product placement is SO ridiculous that it is beyond distracting! True. The research shows it’s when the placement is inherent to the narrative while also creating an intended association that things work out the best for both consumers and companies. Well, there are pros and cons. It is like to watch your favorite TV series and to wait 15 minutes commercial in the middle. Majority of people are simply hangout with their friends and never click Facebook ads. On the other hand keeping existing customers informed all the time and being social with them is a great weapon as powerful as a newsletter. Interesting, although tangible, traditional marketing will still be effective. 3D printed marketing, for instance, could be an unique hit. The Hobbit recently ran an idea for a 3D printed bit of merchandise. LEGO are following suit. Probably won’t be as effective as Ellen’s Selfie, though. Congratulations Brian for this interesting article. Above all it is very useful for those who, like me, try every day to convince customers of this centrality of the content within the overall marketing strategy of a company. I am a free lance which in Italy is desperately trying to make people understand the value of a copywriter who points to the quality and not the quantity, but it’s not easy. I will post your article to my customers more willing. It depends on the format. The BBC was famously anti-product placement (most famously making the lead singer of the Kinks have to do a quick trip to New York and back to replace the line ‘Coca Cola’ with ‘cherry cola’ in Lola or else they wouldn’t play the song), but has recently opened it up, which is leading to jarringly new product placement in shows such as Jonathan Creek and Call the Midwife. It’s not the format, it’s the execution. All this tells me is that the BBC is bad at it. Yes, very effective. But it does make me nostalgic for the cleverness that can be had with fake products. I think of Lucille Ball, Carol Burnett, and more recently Garrison Keillor with his Catsup Advisory Board and Beebop-a-Reebop Rhubarb Pies. And of course, cartoons! Some real inventiveness with their fake products that in many cases were then transformed into real products. Cocoa Pebbles, anyone?